The Jeep CJ: Civilian Jeep Extraordinaire! Jeep CJ Story to Tell? Then Click Here! Why did the post-war CJ Jeep become a necessity and/or dream of farmers/ranchers, miners, explorers, campers, enthusiasts, off-roaders, or simply residents of inhospitable climates? The CJ (Civilian Jeep) series began in mid-1944 with the CJ1 which was an upgraded military MB (only two of these were actually built for testing purposes), followed by the CJ2 from 1944-1945. These were flat-fendered models similar in appearance to the Willys MB models of WWII distinction. 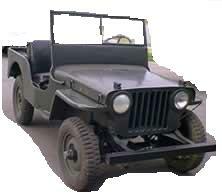 However, Willys upgraded these "civilian jeeps" after the war to be more agreeable with civilian users. The first early Willys Jeep CJ's were designed and rigged mostly for agricultural use and "field work" on farms and ranches. CJ4, (1950) One U.S. prototype model built around the Korean War period... and... many Mahindra models called CJ4's were built and used in India into the 1990's. These early CJ's and military series have become highly sought after by collectors, restorers and updaters (fancy name for hot-rodder's). Speaking of hot-rodding old Jeeps, I once had a 1953 M38A1 with the Dauntless Buick V6 engine, original drive train (geared VERY low), big tires/wheels, new sky blue paint with racing stripes, roll-bar and a few other upgrades. Wow! What a ride. Sorry... I digress. More on my Jeep later. 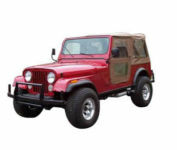 Original and aftermarket parts and accessories for early CJ Jeeps and 1950's M Series Jeeps are available for restorations on a limited basis and require some searching to find certain items. 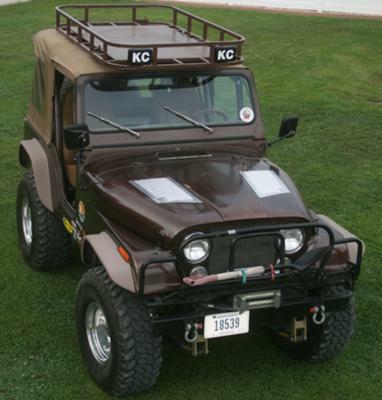 Dan's 1979 CJ5.."The Taz"..click photo for more! The Classic Jeep CJ Style Emerges. The year 1952 was a pivotal year for the CJ Jeep models. The Military M38 Jeeps retained much of the old Willys WWII styling as did the CJ2A, CJ3A, and CJ3B especially with the distinctive flat front fenders. This "flat-fendered" CJ style was built into 1964. Then, also in 1952, the Military M38A1 (1952-1957) model was introduced which became the standard style for the CJ5 in appearance and features with one of the biggest changes being the rounded front fenders. The CJ5 (1955 through 1983) and to a much lesser extent CJ6 (1955 through 1976) model Jeeps became an unprecedented four-wheel drive icon for a particular brand and model classification. 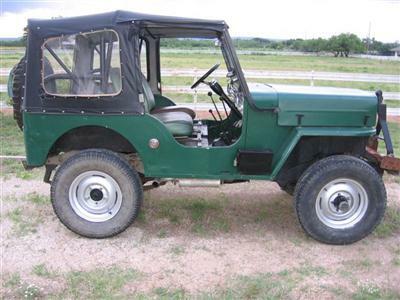 All in all the CJ designated Jeep models persisted with their rugged reputations for an astounding 42 years from the original CJ1 through the CJ7 and CJ8. The Jeep CJ run ended in 1986 being replaced by the Wrangler from 1987 on. So why did the civilian CJ become a necessity and/or dream of so many? The answer is quite simple. These rugged little work-horses provided a tough, durable, reliable and utilitarian platform which allowed us to go places and do things we could not imagine otherwise. That's it! What do you like or dislike about your CJ? How do you use your CJ? I for one (among many) would love to hear your CJ stories...and see your CJ photo(s). Give Your Story A Brief Title Here! All original 1966 tuxedo park. Throwing A Fit Pays! Got A '57 Willys! Had to Have this '53 Willys CJ-3A! A Phoenix rises from the ashes.....twice! '75 CJ5 Renegade sat 15 years in a Backyard! 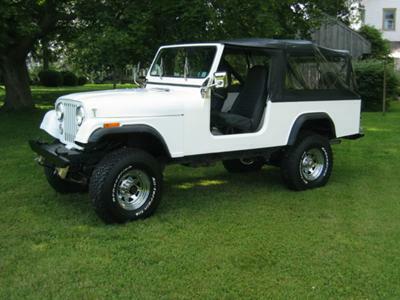 1983 CJ7 is the Finest Jeep Ever! My 1980 Jeep CJ5-Love It! 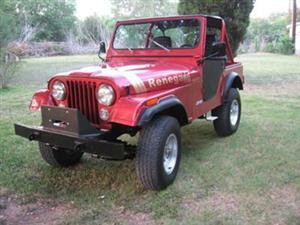 Clair's Restored 1981 CJ8 Scrambler...Click Photo for More Info! The CJ 5 Jeep Page! The CJ8 Jeep Scrambler Page! The CJ10 Jeep Pickup Page! What Followed the CJ? The First of the Wrangler Series...the YJ of Course! 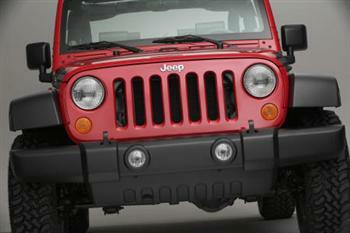 Are CJ and Wrangler owners Stuck Up? Find out!